Even though some viewers had sympathy for Alex as Enugu state born, nevertheless there were jubilations as Miracle was announced the winner of Big Brother Naija. Jennifer Elochukwu said “I knew it was going to be Miracle. My prediction and vote wasn’t a waste after all.” The coal city revabrated in different areas when the winner was announced by Ebuka until the channel closed. Miracle Igbokwe has emerged winner of the Big Brother Naija reality show after having the highest vote of 38.18%. The pilot and model contested keenly for the grand prize of 25 million and a brand new car alongside other housemates for 85days. He also emerged winner of the Pepsi refresh the mix challenge and payporte games , being the housemate with the least time of 53 minutes, 30seconds on the scoreboard Being the winner of two other challenges, he gets two million naira in addition to the standard cash prize of 25 million naira. When asked why he kept to himself for the first few weeks in the house, he said, “I like to observe my environment first before taking actions.” It was an emotional moment for the last two housemates as Ebuka led them through the house for the last time. Fans and family of miracle can not hide their excitement as they have taken to social platforms to congratulate him. Controversial Cee-C took second place while Tobi bakare took third place, Alex, fourth place and Nina, fifth place. The final show witnessed performances from “legbe legbe” crooner, Mr Real , “FIA” crooner, Davido, and performances from Kaffy and her dance crew. 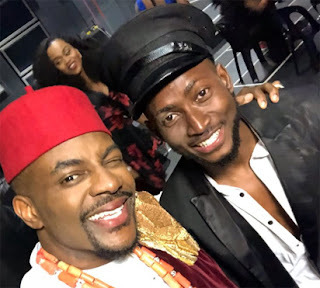 170 million people voted this season at the just concluded BBNaija “Double Wahala’reality TV show, Ebuka Obi-Uchendu, host of the TV reality show said this on Sunday.